Don't miss this cute ranch home. 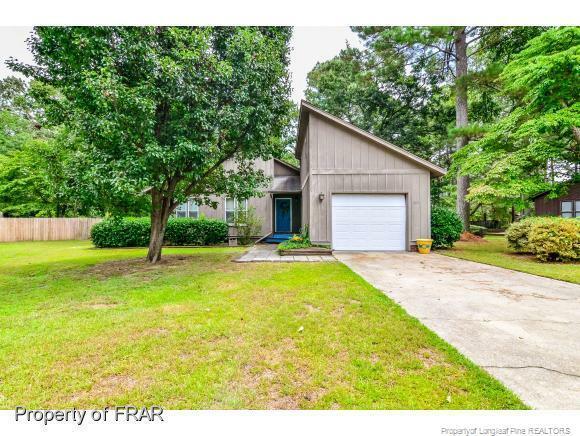 Well maintained home in quiet, desirable golf community. Home sits in cul-de-sac with little to no traffic. Three bedrooms and two baths. Great room with sky lights and stone masonry fireplace. Large sunroom for relaxing days and nights reading a good book. Master bedroom with separate door leading to patio and large walk in closet. Priced to sell! Directions: Chickenfoot Rd Towards Grays Creek. Turn Left Onto Sandhill Rd And Then A Right On Cypress Lakes Rd. Turn Right On Tournament Lane And A Right Onto Wedge Ct. Home Sits In Cul-De-Sac.